Want to disconnect from phones, computers and the busy schedules that occupy your family? You might not be able to put everything on hold, but you can live life at a slower pace for a few days when you’re a guest of The Resort. Your ultimate outdoor family vacation begins right here at our large but cozy lakeside retreat. Nestled in the pristine Shawnee National Forest, The Resort is regarded as “one of Illinois best kept secrets”. The Resort provides a four-season, fun-filled, lakeside escape for your entire family with endless activities and entertainment that everyone will enjoy. The Resort at Egyptian Hills is your passport to the ultimate outdoor family vacation. We have a variety of activities to keep the entire family entertained including: Waterskiing, wake boarding, tubing, sport fishing, pleasure boating, horseback riding, rock climbing, biking, kayaking, and so much more! Imagine saying “I do” on a private wedding veranda beside a romantic lake and having your intimate reception immediately following! 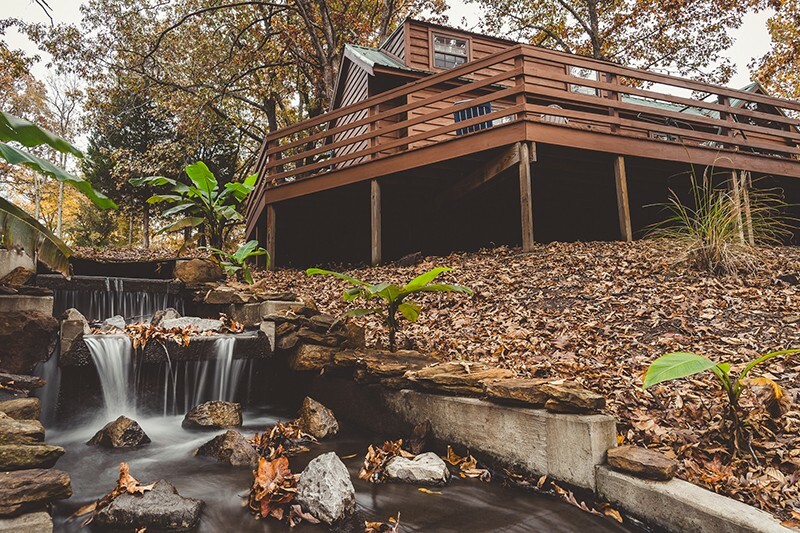 Our beautiful cedar cabins and chalets feature full kitchens, living rooms, bedrooms, baths, loft bedrooms and large surrounding decks. My now wife and I knew we wanted to get married outside. We could not decide on a venue until we attended a wedding at Egyptian Hills. From that moment we know this was our place, so we booked it. From the start the staff was fantastic, helping us with every problem and concern. We also had a planner help from Dream Baskets in Harrisburg, she was great! Our biggest concern in October was the weather but right before they covered all the outside patio except for one small spot and they have covering that they can pull down if the weather takes a turn for the worst. Overall our experience all that we had hoped for. Great people to work with, great food and the facility and scenery at the lake are gorgeous! We cant thank them enough. We wanted a dream wedding and The Resort delivered!! Just got back home from The Resort and loved it. Lake of Egypt offers a great fishing experience and this is the place to stay at. The cabins were well kept and steps away from the water. Even the fishing that we did off of the docks was great. Micah was a great host and made sure to accommodate us in every way possible. His customer service was second to none. I will recommend this place to anybody going to Southern IL and I will defiantly be back a few times a year. Our family stayed at the resort for a long weekend. We stayed in the double chalet which was perfect for our family of 5 and could have easily accomodated a few more. The kitchen was fully equipped and the cabin also had a gas AND charcoal grill with a large deck. Everything was very clean and comfortable and had a nice view of the lake. The owner helped set up activities for us (i.e. rock climbing) and he was very accomodating all around. We would definitely stay there again. Was surprised at how populated the area was, but overall a great experience! I cannot tell you how much we appreciate and thoroughly enjoyed our day there. You guys went above and beyond our expectations. Everything ran smooth and perfect. Micah, I genuinely appreciate your willingness to work with us to make our day great. I felt during the whole process you handled any questions or concerns we had extremely professionally. We went into this not knowing you or your staff & I feel as though we left with new friends. Samantha delivered on the decor and organizing as she promised. What Alyssa had envisioned came true for her. I cannot thank you enough. You’ve always got a positive referral from us & I wish you guys the best. The Resort at Egyptian Hills will always be the place I married my best friend. Thanks so much! Best place ever to have your wedding! Hands down! Majority of my family is from out of town and they were so accommodating to my family and their needs. Sam was such a pleasure to work with- always responded to my questions within hours (and I had a lot of questions). My wife and I felt so comfortable with Micah and his staff, we felt like we were part of his family, the way he treated us. Everything exceeded our expectations- to the food, the setup of the decor, their professionalism, no detail was overlooked!! What we love the most- they remembered who we were every time we’ve been back since our wedding. It isn’t all about the money with them- they genuinely care about you as an individual! Listen if you have a Friday evening that your not sure what to do with then bring yourself and your friends to one of the summer tribute bands at the Resort. I’m telling you, you will not be disappointed. I have found a new place to enjoy my weekend evenings. I can’t wait till your journey tribute in August. I WILL BE THERE !! Love this place. You guys rock. Thanks again soooo much for a place where you can go and hang out with your friends and have such a great time. The staff is very friendly and will help you at the drop of a hat. Rock on!!!! !